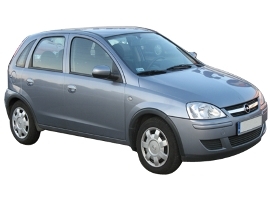 This vehicle is available for rent in the regions of Varna, Other Towns	and all smaller towns and resorts around. year of production 2005, petrol engine 1200 ccm, 5 doors, 4+1 seats. air-condition, power steering, central door locking, air-bag, power windows, CD player, radio.